One 10 karat yellow gold antique ring. One single cut diamond (0.02 carats: VS clarity: I-J colour). 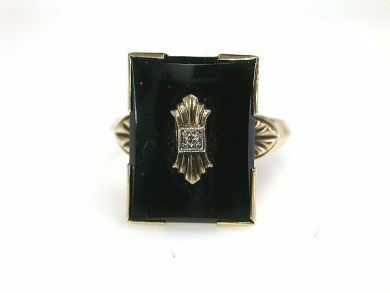 One rectangular onyx piece.